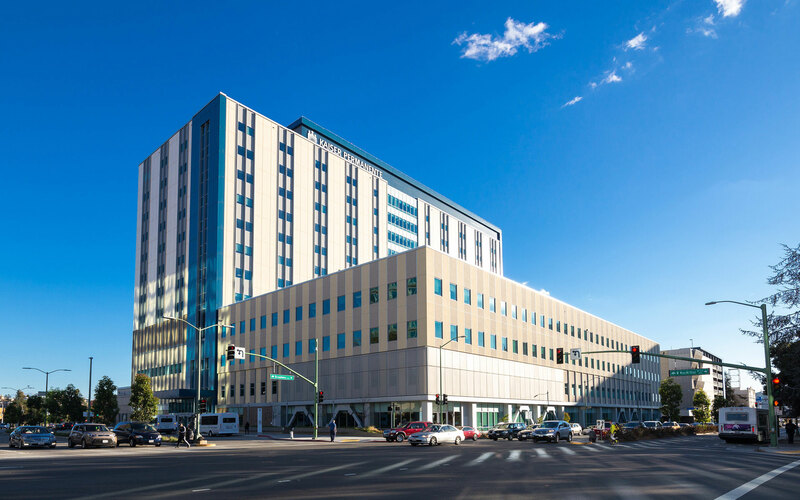 Kaiser Permanente recently opened a new 12-story, 349 bed medical center in Oakland, on the corner of Broadway and MacArthur Boulevard. The new 650,000-sq.-ft. hospital has all private rooms with room service, wi-fi, and pull-out guest beds. It contains a full-service children’s hospital and pediatric unit. It joins a 5-story 220,000 medical building next door that also recently opened. Young Electric + Communications has installed over 5 million sq. ft. of cabling as well as the fiber backbone and several other systems for the hospital and the medical office building. Young Communications completed the project in phases and was on site for nearly five years. Voice/data cabling; fiber optic backbone; distributed antenna system (DAS); eICU cabling; patient monitoring cabling system.